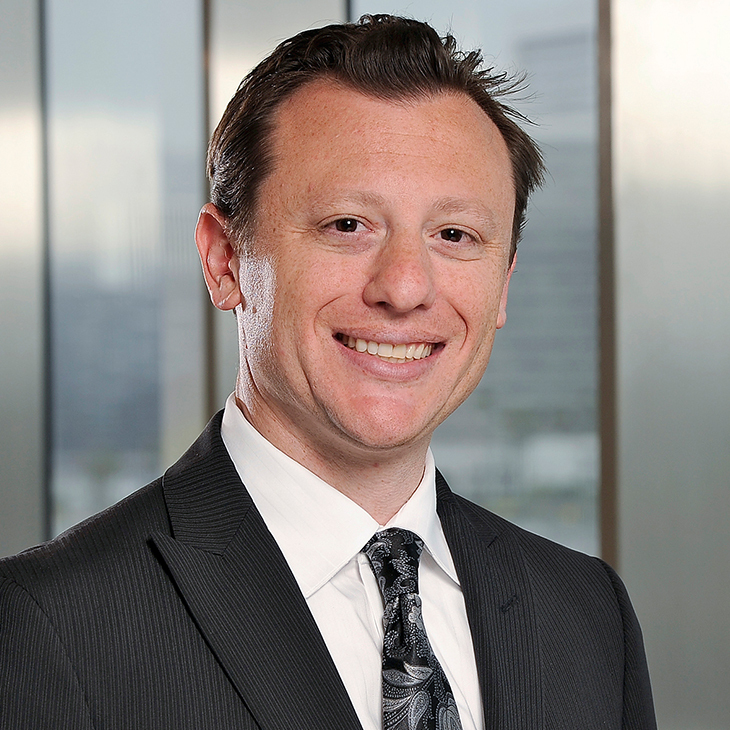 Recognized by The Legal 500 for giving “timely, responsive and business-oriented advice,” Jesse Brody focuses on ensuring legal compliance for companies in the entertainment, technology, advertising, financial services and consumer products industries. He helps clients bring their traditional and digital advertising campaigns from concept to execution. Certified by the International Association of Privacy Professionals, Jesse counsels clients on privacy and data security matters, especially regarding the collection of consumer data, data-sharing arrangements and ensuring that companies’ data collection practices are consistent with their policies. Jesse drafts and negotiates agreements for advertising and marketing campaigns, including for clients who engage advertising- and media-buying agencies—or talent or spokespersons—or are involved in sponsorship, product placement and product integration. He also drafts and negotiates software licenses, website development agreements, and other e-commerce and technology agreements. Additionally, Jesse provides strategic counseling on cutting-edge issues in digital marketing and data privacy—such as native advertising, endorsements and testimonials, behavioral advertising, Do Not Track, and the Internet of Things. Jesse advises companies on all aspects of legal compliance for national and international sweepstakes; skill contests; and trade, charitable, reality television and other promotions (including drafting official rules and winner affidavits, reviewing ad copy, and handling applicable state registrations and bonding). He also assists clients with structuring customer loyalty programs and gift card compliance. In addition, Jesse advises clients who market to children, including on compliance with the Children’s Online Privacy Protection Act and with Children’s Advertising Review Unit guidelines. Speaker, “Sweepstakes and Contests In-depth: What’s Trending & the Legal Ramifications,” Warner Bros. Legal Department, Los Angeles, CA, June 6, 2016. Speaker, "Native and Video Goes Programmatic," 2015 Siemer Summit, Beverly Hills, CA, October 13, 2015. Speaker, "Digilaw Trends: What You Need to Know About Internet, Mobile and Social Media," Sony Entertainment Legal Department, Los Angeles, California, September 9, 2013. Panelist, "Consumer Protection Update," ABA Section of Antitrust Law: Consumer Protection, Private Advertising Litigation, Privacy and Information Security and Corporate Counseling Committees, teleseminar, June 12, 2013. Speaker, "Using Online and Mobile for Branding, Distribution, Selling and Promotion," Digital Salon, Chicago, Illinois, November 12, 2012. Speaker, "Practical Tips in Advertising/Marketing Law: What You Need to Know," Association of Corporate Counsel CLE, Chicago, Illinois, October 30, 2012. Speaker, "Digital and Privacy Law Hot Topics on the Horizon for 2012: Security, Promotions and Behavioral Advertising," OWN: Oprah Winfrey Network Legal Department, Los Angeles, California, December 1, 2011. Speaker, "Approaching Web and Mobile 3.0: The Practical Evolution of a Digital Marketing Campaign," webinar presented to TVOne, LLC, Los Angeles, California, January 10, 2011. Speaker, "Basic Legal Considerations in Music Licensing," Scion Music(less) Music Conference, June 18, 2010. Speaker, "Evolving Media Marketing Issues," Fox Group Legal Department, Los Angeles, California, June 11, 2010. Speaker, "Hot and Emerging Legal Issues," Mattel, Inc., in-house clinical for Legal Department, El Segundo, California, August 21, 2008. Speaker, "Web 2.0: Social Networking, User-Generated Content and Digital Advertising – Evolving Legal Issues," The Walt Disney Company, Glendale, California, January 28, 2008. Co-author, "Navigating Native: A Checklist of Compliance Steps for Ensuring Proper Disclosures for Native Ads," Bloomberg BNA Electronic Commerce & Law Report, January 13, 2016. Author, "FTC Signals Interest in Endorsements," Law360, June 4, 2015. Co-author, "No Cause for Concern," American Marketing Association's Marketing News Magazine, May 2015 issue. "Ten Actions for Effective Data Risk Management," The Cybersecurity Law Report, April 8, 2015. Co-author, "The Next Big Thing: Enforcing Terms of Service in an Internet of Things World," Bloomberg BNA's Electric Commerce & Law Report, March 11, 2015. Co-author, "A Lottery You Can't Lose, Sound Too Good to be True?" Credit Union Journal, February 6, 2015. Co-author, ""Top Ten Privacy Issues for Promotional Marketing in the Digital Age," Chapter IV in Promotion and Law Marketing Book, Brand Activation Association, January 2015. Co-author, "Hashtags and Ads: Top 10 Legal Considerations for Brands Involved in Digital and Social Media Advertising," Cyberspace Lawyer, November 2014. Author, "Terms and Conditions," Marketing News, November 2014. Coauthor, "Do We Need #consent? Navigating Legal Issues in the Twittersphere," Corporate Counsel, November 1, 2014. Author, "Top 10 Privacy Considerations for Digital Marketing Campaigns," Bloomberg BNA's Privacy and Security Law Report, June 9, 2014. Author, "Facebook Contests: You Still May Want an App For That," Law360, September 4, 2013. Author, "5 Tips for Crafting Ads That Pass FTC Muster," Law360, August 30, 2013. Co-author, "Safeguarding Brand Reputation in Social Media," Corporate Counsel, June 18, 2013. Co-author, "Is Your Contest Illegal? 33 Important Considerations for Contests and Sweepstakes," Target Marketing, May 8, 2013. Co-author, "FTC's New Online Ad Guidance: Takeaways for Advertisers," Law360, March 21, 2013. Co-author, "'It's a Party in the U.S. and U.K.': Legal Considerations When Offering a Cross-Border Digital Promotion," BNA Bloomberg Electronic Commerce & Law Report, March 5, 2013. Co-author, "10 Things You Can Do When Advertising & Selling In The Digital Age To Stay On The Right Side Of The Law And Maintain Consumer Goodwill," Entertainment & Intellectual Property Law Journal, Volume 2, Number 1, February 2012. Co-author, "Right-of-Publicity Claims and Advertiser-Sponsored User-Generated-Content Campaigns Limitations of CDA Immunity and the Risk of Claims," e-Commerce Law & Strategy, January 2012. Co-author, "Deal! Deal-or-No-Deal California Text Sweepstakes Lawsuit Settles," e-Commerce Law & Strategy, November 2011. Co-author, "Let's Get This Promotion Started," AMEC M/E Insights, Winter 2009-2010. Co-author, "Spamalot No More – The Federal Trade Commission Has Issued Its Final Rule on CAN-SPAM," Marketing Management, September/October 2008. What makes a potato skin a potato skin?